Since Mei Ling and I got married six years ago, we've experienced a cultural double life. We live in Miami, a city not known for Asian culture, but we frequently interact with the small Chinese community here. Mei Ling cooks incredible dinners that fuse the best of Asian and Occidental ingredients. Our kids are mixed of course, so it's important for us to keep them in touch with their Chinese heritage. Part of that means taking them to see the maternal half of their family in China every couple of years. The way it's worked out, every time we've gone back we've had a new kid to show off which adds a special quality to the reunion. We've also made a tradition out of expanding our China visits into around-the-world trips with multiple destinations, partially to mitigate the pain of flying halfway around the world in one day. The itinerary from Miami to Mudanjiang is particularly brutal, requiring three flights with long layovers and more than 26 hours of transit. In the past we've broken up our trip in such places as London, San Francisco, and Seoul. This time round we settled on New York City as our first stop, which is a great departure point for the Far East due to the polar shortcut. Mei Ling was also set on visiting Taipei to see her elderly great uncle. I've become addicted to European road trips so after much thought I chose a Scandinavian itinerary that would take about three weeks to complete. That meant we had to extend the trip to six weeks, our longest continuous trip ever. We decided to leave the day after the older kids finished school and return the day before Spenser turned two, in order to maximize the lap child discount. New York City is both Mei Ling's and my favorite city in the world. I grew up in Brooklyn but left when I was 17, so I never got to experience the city as an adult native. However, my parents lived there until I was 40 and I have several friends there, so I was able to stay acquainted with New York through frequent visits. What I've always loved more than anything about Manhattan is how one can just walk around in the downtown neighborhoods and be assured of seeing unusual people, unique stores and galleries, and amazing performances. 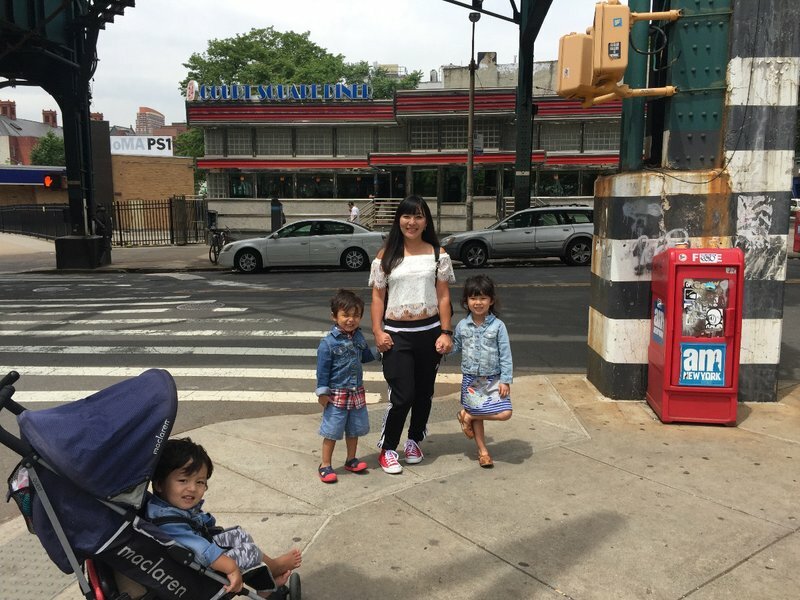 In the years since I left New York, the eastern boroughs of Brooklyn and Queens have flowered and become home to diverse communities of Asian and Latin American immigrants who maintain a close connection to their native lands. Those exotic influences have fused with urban renewal in formerly blighted and colorless neighborhoods like Williamsburg and Bushwick to create new hubs of cultural activity that are completely independent of Manhattan culture. New York City was a great place to grow up, but I feel that in the last twenty years it's only gotten better. This was our fourth trip to New York City as a family. In the past we've stayed in the Upper East Side, Chinatown, and Williamsburg. This time we knew we were going to focus on the Queens culinary scene but still wanted to visit Manhattan and Brooklyn. The obvious choice was Long Island City, an up and coming neighborhood just north of Brooklyn and across the river from midtown Manhattan. We could get our funky hipster fix right where we were staying and have easy access to Queens all the way to Flushing via the Long Island Expressway and Roosevelt Ave. Pickings on Airbnb were very slim a month in advance, but I took a chance on a place with some mixed reviews that was about half the price of the cheapest acceptable hotel. Another advantage of staying in the outer boroughs is that a rental car becomes feasible. New York's public transportation is very outdated with respect to the modern nerve centers of the city and is rather user unfriendly for strollers. Taxis are insanely expensive and Ubers can be hard to find. Therefore, the first place we found ourselves after getting off the plane was at the rental car agency picking up a spacious SUV with plenty of room on the back bench for three child seats. We drove straight to Flushing whose population is at least 50% Asian. 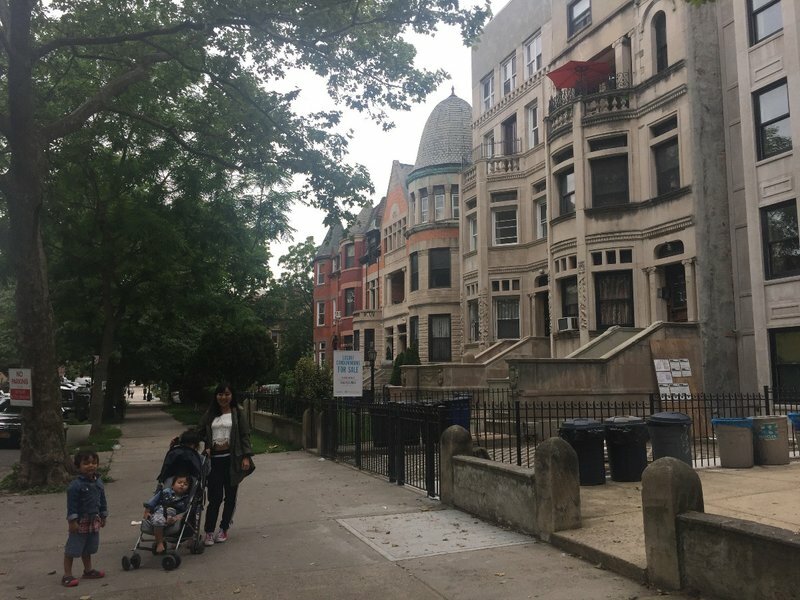 The largest community of Asians in Flushing is Chinese, and Flushing's Chinatown has surpassed the original Manhattan Chinatown both in size and in its resemblance to a modern Chinese city. One of the best places to sample authentic Chinese food in Flushing is at the enormous food court at New World Mall. Besides cuisines from various regions of China, there are also stalls providing selections from Korea, Japan, and Thailand. It would probably take a month of continuous eating to get through all the delicious options. We were already exhausted from the flight and the car pickup, so we made some quick selections of spicy seafood and Xi'an noodles. 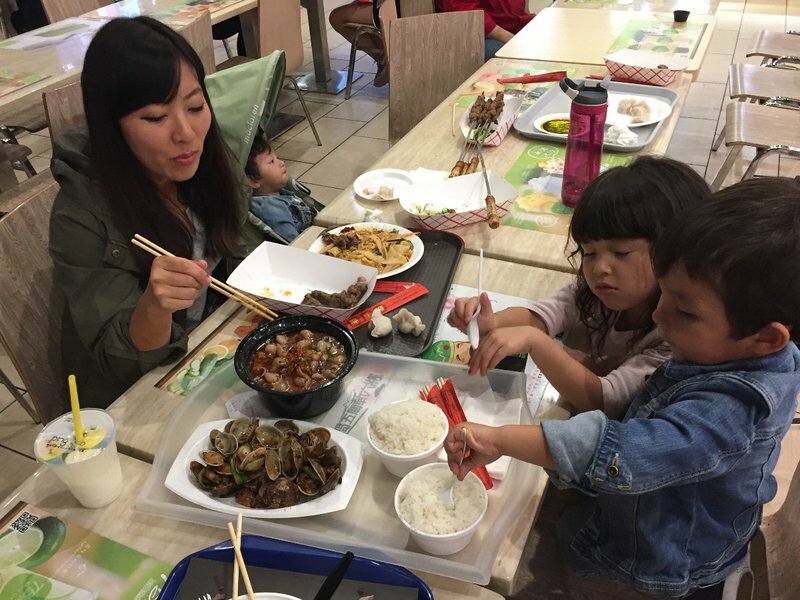 Mei Ling fed the kids while I made a video of the exuberant cornucopia of Asian cuisine all around us. 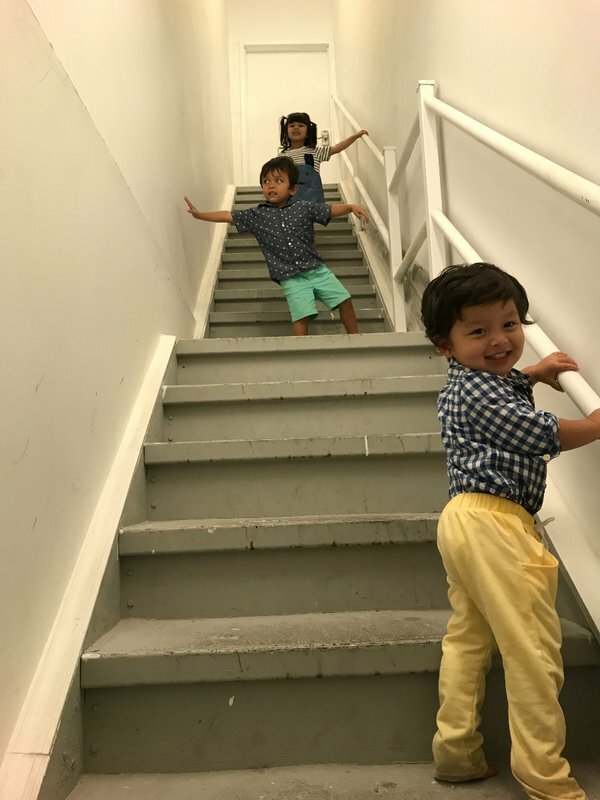 We made a quick stop for necessities at the Chinese supermarket upstairs and then drove to Long Island City where we located the entry to our Airbnb after some difficulty. 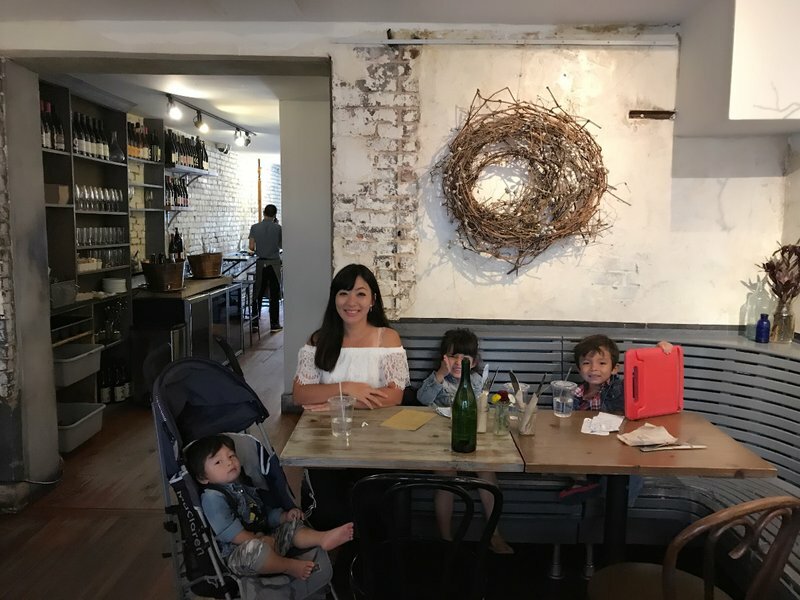 The place turned out to be perfect for us as it was clearly appointed for short-term rental and not someone's residence with artwork and bric-a-brac for the kids to break. The only slight disadvantage was a long, steep staircase up to the second floor apartment. However, all the kids seemed to enjoy the challenge of negotiating the steps. We woke up to a beautiful Thursday morning, perfect for a walk through the neighborhood to breakfast at LIC Market. Unfortunately LIC Market is not an actual market, but it still provided us with a decent and satisfying breakfast. After breakfast we continued exploring Long Island City on foot. It's an entertaining area that still shows many of the trappings of its colorless past of warehouses and office blocks, yet also has a large number of new-appearing ethnic restaurants and boutiques. It gives a sense of what Williamsburg must have been like about ten years ago before it exploded into the hipster paradise it is today. 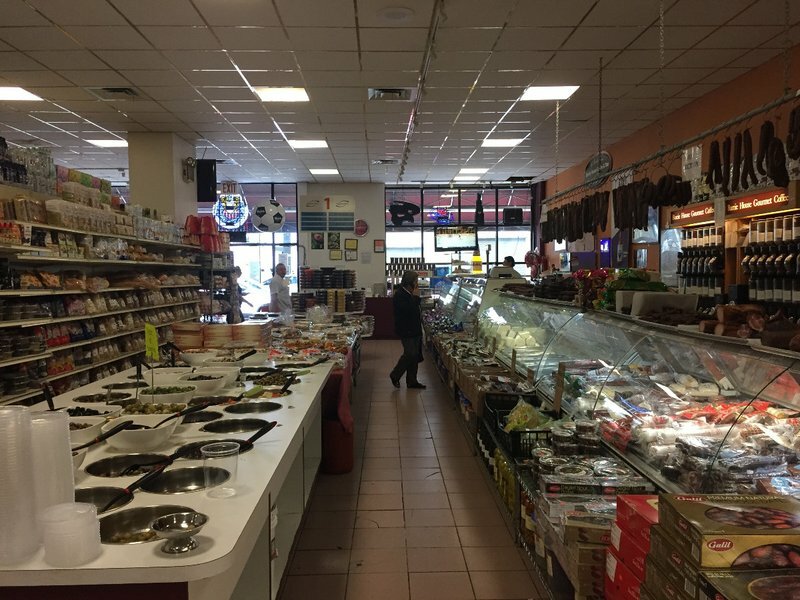 We found our way back to the car and took a short drive up to Euro Market in Astoria, where we marveled at the enormous selections of Eastern European beers, preserves, and cheeses. It was still early enough to spend a few hours at the Brooklyn Children's Museum so we decided to fill the rest of our afternoon there. This is the oldest children's museum in the United States, and I'm fairly sure I never went there as a child. That's probably because my Mom considered the area to be too seedy to venture into, but like many other parts of Brooklyn Crown Heights has experienced a lot of gentrification in recent years. The neighborhood was full of the beautiful bowfront Victorian houses that are typical of Brooklyn. The museum turned out to be a lot of fun for the kids and a good way to spend an afternoon. I found it much better than the Children's Museum we have in Miami, but not as good as the one in Houston. 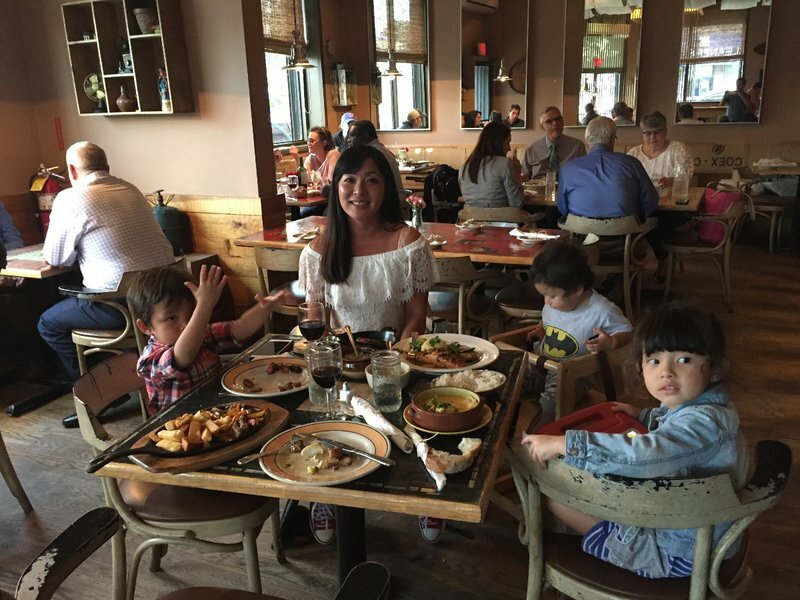 We headed back to Long Island City for a solid dinner at the Brazilian restaurant Beija Flor, which thankfully was half empty at that early hour. After dinner we still felt a lot of NYC energy so we drove east on legendary Roosevelt Avenue in Queens. 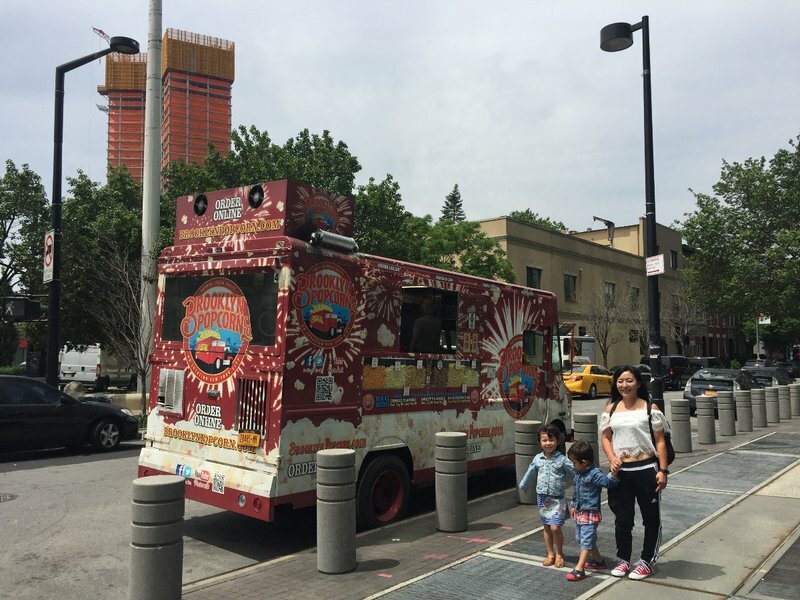 As the avenue courses eastward underneath the elevated track of the 7 train, it passes through diverse ethnic neighborhoods each of which boasts its own cluster of ethnic restaurants and street food kiosks. Our first stop was Little Bangladesh, in Jackson Heights, to taste jhal muri from Baul Daada's tiny kiosk. The puffed rice snack came out so spicy that I could barely force down a couple of mouthfuls. We saved the rest for later. 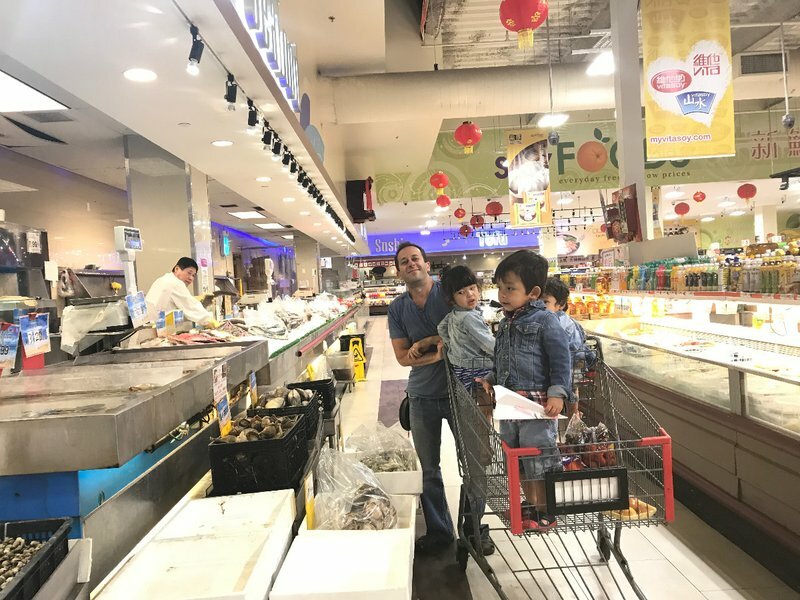 We strolled around the neighborhood for a little while visiting South Asian markets and absorbing the atmosphere. Eventually we got back on Roosevelt Ave and drove all the way to the enormous Asian supermarket Sky Foods in Flushing. Despite the size, we didn't come across anything we couldn't have found at our favorite Asian supermarket back home. 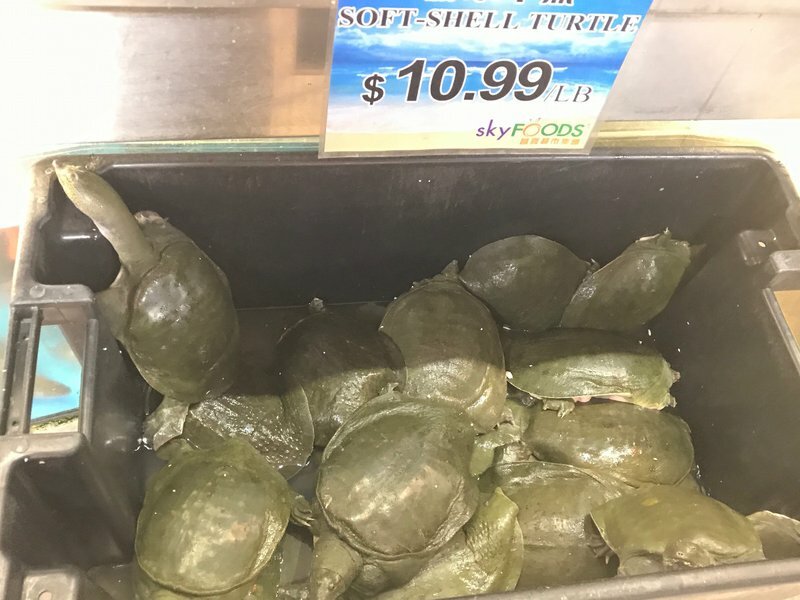 The turtles did look very tasty though. 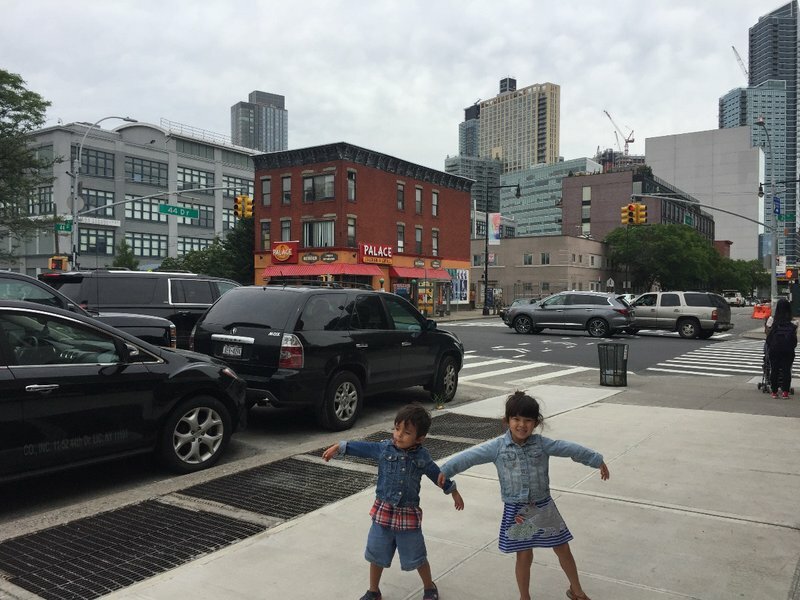 We were tempted to stop in the Central and South American section of Roosevelt Avenue in Jackson Heights for another dose of street food but in the end fatigue overcame us and we finally surrendered to exhaustion.